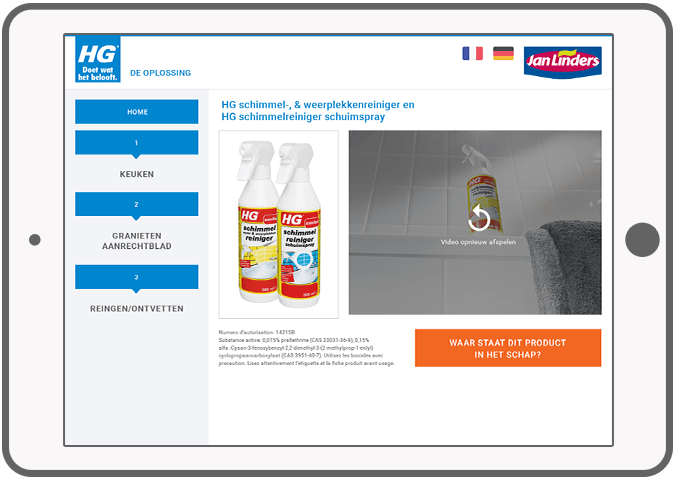 HG Introduces Shelf Information System - in short, HG SIS. 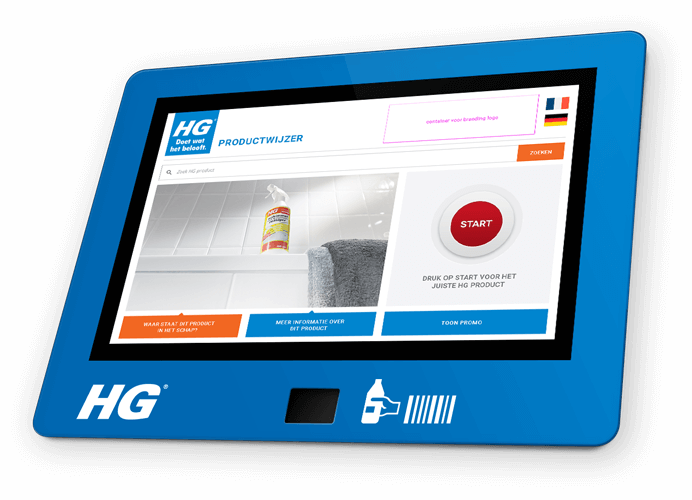 The tablet lies on the shelf next to the HG products in all sales points worldwide. 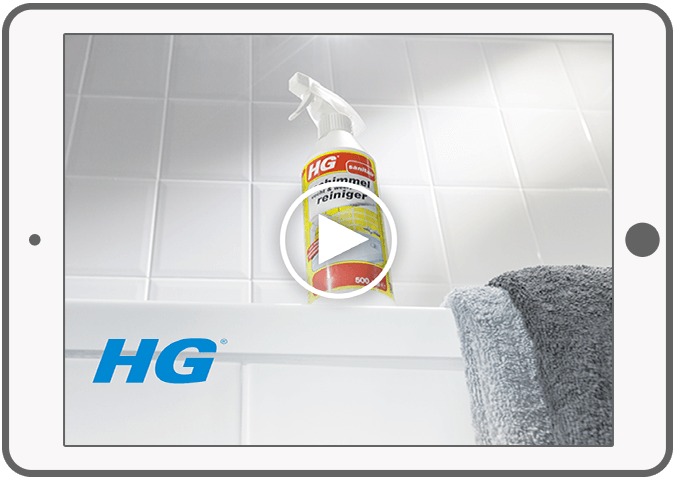 Consumers enter the cleaning problem and the app immediately gives the appropriate HG solution. Consumers take the product from the shelf and happily set off. All tablet content can be tailored individually by country, language, chain, store or even shelf. It is manageable by HG (and the retailers themselves) through their own CMS. For HG SIS, we have technically challenged ourselves. For example, the app supports several ways to keep global content up to date. 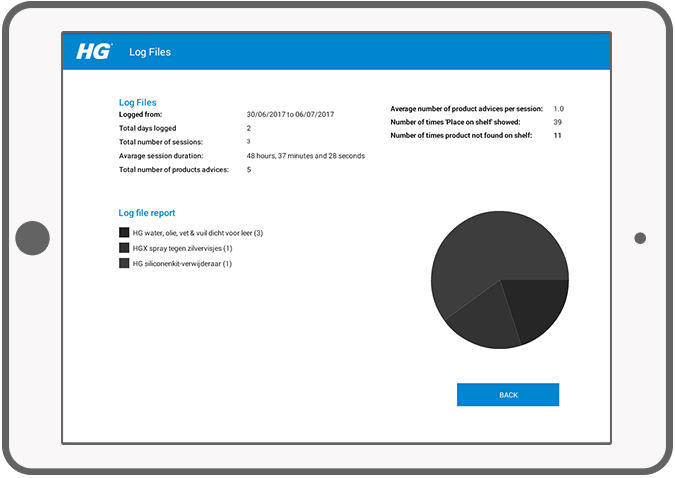 The HG SIS tablet can be set so that it automatically performs automated updates via the CMS. The updates can be done via Wi-Fi or the LAN cable. This allows to manage remote HG updates. It is also possible to manually perform an update of the system using a USB stick, which contains the required data. What else? The app "knows" if the user is around. When a visitor comes near the tablet, HG SIS closes the screensaver and opens the welcome screen in the app. Ready, set, go! You will not have to wait too long. In order to provide faster user experience, the tablets are updated, processing large amounts of data and storing it on the device. 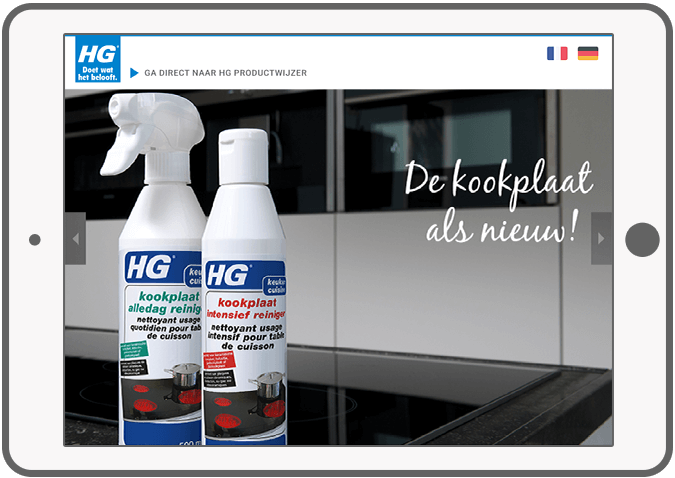 Apart from HG SIS, we have developed other products for HG, such as HG order portal, HG order app, HG sales app and HG webshop. Step one: HG sales employees install the app on location. Set SIS to your preferences. Pictures speak louder than words: watch the video! HG leaves no room for misunderstandings. 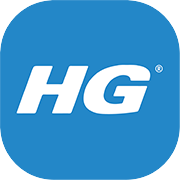 HG has many products in its portfolio. See here where your product stands. Check the file that keeps track of all the activities of the web server.